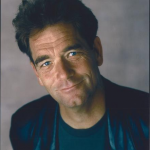 Huey Lewis spent 2013 on tour with the News celebrating the 30th anniversary and deluxe reissue of their album Sports, which launched four Top 10 singles (plus a fifth that cracked the Top 20) and sold nearly 10 million copies in the US alone. Follow him on Twitter here. A lot of you will probably watch the All-Star Game. I have a gig, otherwise I would too. But as a sports fan who knows a little about music, I have to get something off my chest: Can we all agree it’s time to ban most, if not all, pre-recorded music from sporting events? The fairly recent (in historical terms) proliferation of the pre-recorded stuff has begun to seriously degrade the experience of going to a ballgame. I can think of lots of reasons why a ban would be beneficial. 1. 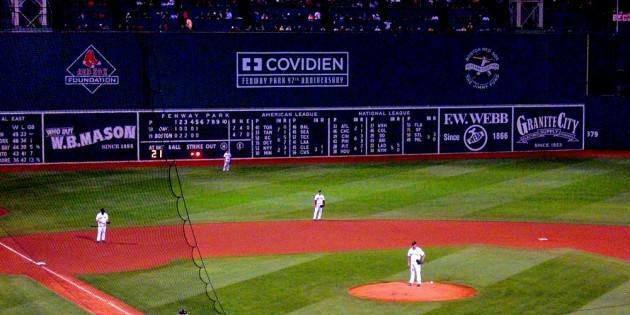 The murmur of tens of thousands of people in a baseball park, vendors hollering about beer and hot dogs, along with the thrilling crack of a bat hitting a ball, an umpire’s throaty call, and the occasional player’s whistle or cry of “I got it!” is a wonderful symphony of sounds that we almost never get to hear anymore. Fortunately, most venues halt the music when the action starts, but not always, and not exactly, and that can be doubly infuriating. And, yes, it’s often played too loud. 3. Furthermore, live acoustic music isn’t just authentic entertainment, it’s a boon to the local culture. The San Francisco 49ers used to have an 18-piece jazz band on the sidelines, complete with a cable car bell ringer, to perform between plays. The 49ers, and their San Francisco baseball counterparts the Giants, used to hire a local Dixieland combo to roam the stands and play. These things were entertaining and culturally valuable — marching bands are a wonderful incubator for local talent, they connect a team to the local music community in a real way, and the sound they produce is far more interesting and appropriate for a large stadium. Think of all the people employed by a sporting event on game day (dancers, parking attendants, jugglers, vendors, Frisbee dog trainers, food service people, acrobats)… why not hire a few musicians? How about a blues combo roaming the stands at Wrigley Field in Chicago, playing a different section of the stadium every inning? Or, similarly, a country group at a Nashville sporting event? 4. I’m a big fan of live organists — the worst live organist is better than the best pre-recorded music. 5. Lastly, and maybe most crucially, a ban would do away with those over-played theme songs that annoy and belittle athletes and audiences alike. (Think “Wheels on the Bus.”) Sport is a wonderfully complex pastime played by exceptional people, and it deserves better. So, let’s leave pre-recorded music to the awards shows and reclaim our sports entertainment integrity. And if anyone from the big leagues is reading this, I can recommend plenty of musicians who could use the gig.